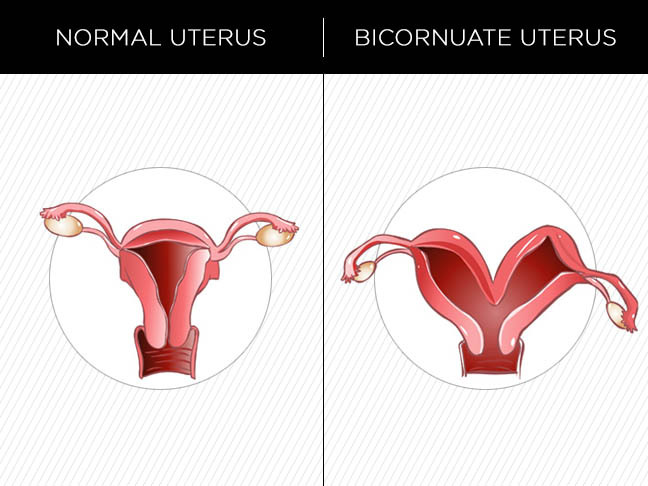 Bicornuate Uterus: What Does It Look Like? A bicornuate uterus is a heart shaped uterus with two horns. A typical uterus, on the other hand, is pear shaped. “A bicornuate uterus is a congenital abnormality of the uterus, which means you’re born with it,” says Anna Barbieri, MD, an ob-gyn in private practice in New York. The bicornuate uterus looks the way it does due to a partial split that creates two chambers (as opposed to the flat top of the typical uterus). Normally, the split in the uterus retracts during fetal development, but with a bicornuate uterus it does not, resulting in the heart-like shape. How is a bicornuate uterus diagnosed? “First, we diagnose by ultrasound and then if you feel like you need a more accurate diagnosis you can get an MRI [if you’re not pregnant],” explains Rachel Kassenoff, MD, an ob-gyn at Mount Sinai Hospital in New York City. The bicornuate uterus is often diagnosed when you’re pregnant, if the baby is breach or at the time of delivery. 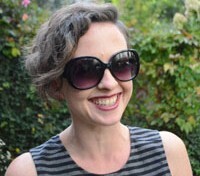 “When you’re performing the C-Section and feeling the uterus, you can feel it,” she adds. Some women are diagnosed with it when experiencing fertility problems, although a bicornuate uterus is not generally the cause of infertility; it more commonly affects pregnancy. Is a bicornuate uterus dangerous? Are doctors able to minimize complications of bicornuate uterus during pregnancy? All in all, having a bicornuate uterus is nothing to worry about. It is not something you will need to seek out a specialist to advise you on, and Dr. Kassenoff says that your regular ob-gyn will be able to handle it just fine. Do Natural Hand Sanitizers Really Help Prevent Colds & Flu?